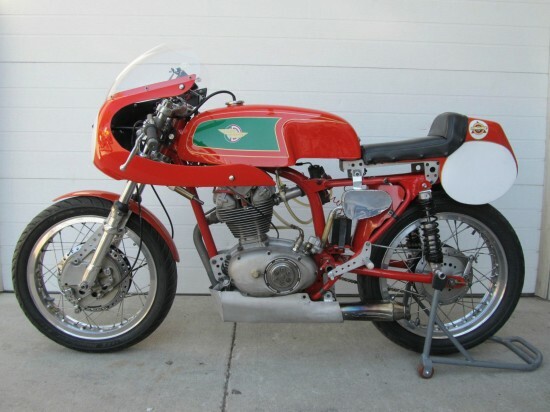 With all the laurels they’ve earned for wins on track and ink expended, or keys keyed, to express the love for the raucous bark of their v-twin motorcycles, it’s easy to forget that Ducati, like most manufacturers, got their start making single-cylinder motorcycles. 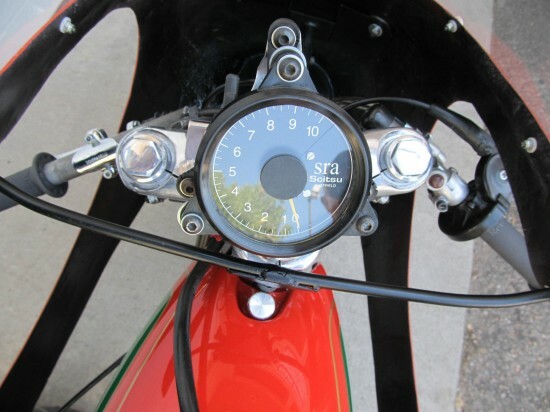 For much of the motorcycle’s history, they were practical, inexpensive transportation first, racing machines a distant second, and you can’t get much more simple and reliable than the good ol’ single-cylinder. “Thumpers” are simple to design and manufacture, have fewer moving parts to break or need adjustment, and can be made in a huge range of displacements. In addition, their torquey power delivery and strong, friendly character make them excellent tools for the street. 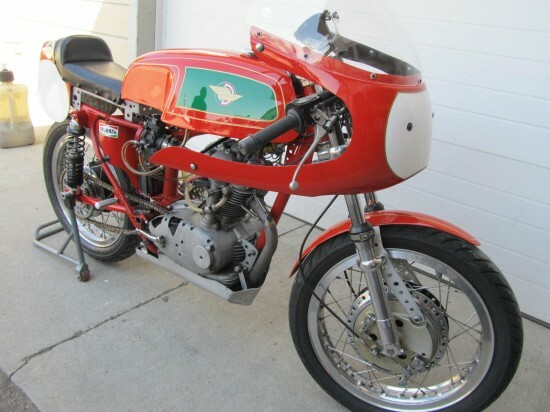 A small manufacturer couldn’t hope to compete in terms of sophistication with industrial giants like Honda, so Ducati stayed with forms of racing that played to their considerable strengths. 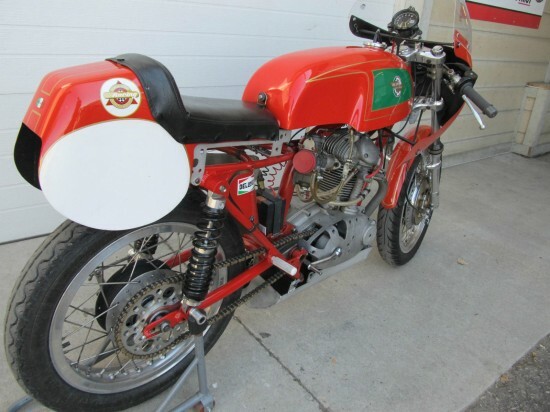 While the Ducati Mark 3 may have been only a 250cc machine, the Diana Super Sport was the fastest 250 on the market at the time and could top “the ton” with relative ease. It did not feature Ducati’s now ubiquitous Desmo positive valve operation and used traditional springs, but it was a thoroughbred in every other way. 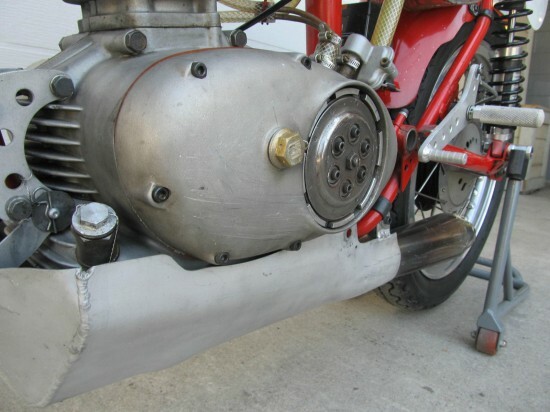 This example has been fully prepped for the track and includes a metal belly pan, unusual dry clutch, and a four leading-shoe front drum brake from a period Suzuki for some improved stop to go with the engine’s uprated poke. 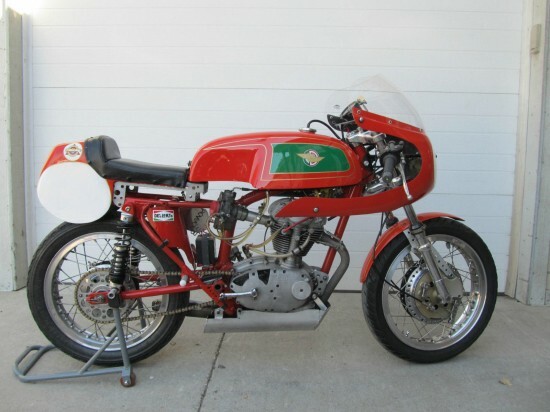 1967 Ducati A.H.R.M.A. legal in 250 GP and eligible to bump up to 350 GP class. This bike has been developed over the past twenty years and last raced in 2013. The frame is Ducati with custom fork crowns and Ceriani forks. Rear shock mounts by the owner with Progressive Suspension Shocks. The front brake is Suzuki 4LS and the rear brake is stock Ducati. 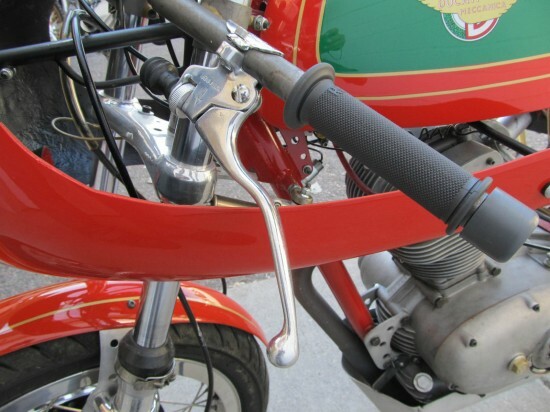 The engine uses a Euro Red crank, Arais piston, Megacycle cam, and Ducati rockers with light weight valves. The dry clutch is from Italy. The crank has been balanced to minimize vibration. The bike uses a total loss ignition with points and coil. It has a Scitsu tachometer. Spares include sprockets, cables, pegs, shifter, levers, battery, and jets. With just a single bid for $5,999 and the reserve not yet met, it’s unfortunate this bike hasn’t found a buyer yet, with three days to go. It seems like a great turnkey way to get into the vintage racing scene, something I’d really love to do myself.